At Right Choice Entertainment, we are committed to giving every girl the royal treatment she deserves by throwing an amazing princess party. We’ll work on every detail that’s going to make the entire party a success. From choosing the best characters to designing unique costumes that fit your theme, we’ll go all the way to make your event a huge hit. 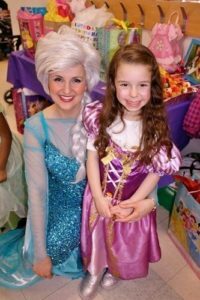 We organize beautiful princess parties done by performers who are friendly, professional and well trained. 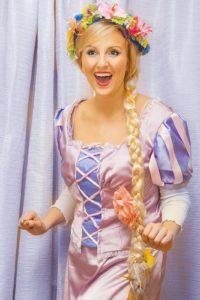 All our performers have extensive experience throwing princess parties and playing different characters. They come with a background in theatre to give the best performances you’ll ever see in a princess party. If you’re looking for a magical celebration for your little one and her friends, reach out to us. We’ll make sure the party is filled with everything a little princess could dream of. 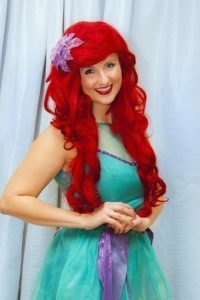 The characters you choose for your princess party Toronto will really determine the kind of event you host. Each character will come with a list of activities that will keep the kids busy the entire time. As the host, you don’t have to lift a finger or wonder how you’ll keep the kids distracted as you attend to the older guests. With the right choice of characters, you can sit back and enjoy the entire event knowing that the kids are in good hands. Princess parties are incomplete without song and dance performances by the characters. The characters will come with special music that is played during the party to keep the guests in the right mood. Kids can even take royal dance lessons where they’re taught how to dance like their favourite characters from the princess fairy tales. The dancing session should take about half an hour after which the kids can sit back and listen to their favourite stories. 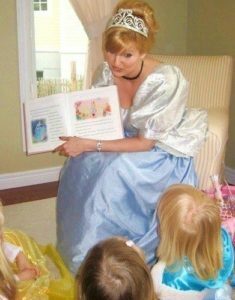 The princess party can also include a magical story time session. This is done by professionals who have extensive experience and a background in drama and art. Imagine how your child would feel to have their favourite characters show up at their home on their birthday and share exciting fairy tales with the rest of the kids? All our princess parties are organized well to put a smile on your child’s face. We pay attention to detail and ensure the party flows well. All activities such as story time and dance sessions are done by highly experienced professionals. Imagine how your little one will feel if deemed a real life royal princess on her next birthday? The princess party can incorporate a royal oath where the child can take beautiful pictures with the princess. The session involves a coronation ceremony where the child is given a wand, a crown and officially declared a princess on her birthday. You’ll see her face light up as she is crowned a real-life princess in front of her friends and family. Planning any kind of party can be stressful especially when you want to give your little girl the very best but don’t really know where to start. We’ll share with you some great ideas on how to plan a princess party. You need to set the tone for the party by customizing the invitations to go along with the theme. Use colours such as pink and little extras like silver stars and gemstones to give the invitations that extra sparkle. You can also send out postage stamps with images of your little princess printed on them. If you’ll be having a tea party, cards that are shaped like teacups will really do. When choosing the decorations, think about what your little girl loves about her favourite princess; this includes the colors and princesses that your girl wants to be featured on her party. You can then choose princess-themed centrepieces as well as party favors to make the décor come together well. Dress up the tables with tulle and add sparkles to the table tops. Have some key decorative pieces that stand out and don’t forget to put some background music to create a royal ambience. We can come in and bring in some cool balloon arrangements that take your décor to the next level. When you’re thinking about food for a princess party, consider items that the kids would love but also complement the tea party. For instance, beverages pink lemonade will really go well with this theme. You can also have fruit tea or smoothies served in princess cups. Consider having some yummy kid-friendly sandwiches for the tea party. This is the part where you get to keep the kids busy and well entertained. Our experienced and talented performers can come in and take control of this aspect of the party. There are so many activity ideas for princess party that we can recommend. Simple activities such as giving the kids tiaras to decorate or having a glamour station where the girls can paint each other’s nails and play around with different hairstyles is an activity that kids will enjoy. This is your chance of making your little girl’s royal dreams come true. Whether it’s her birthday or a simple afternoon with friends, throw her a princess party and make her feel like royalty. With decorations, treats and the best performers in Toronto to keep the kids entertained, the princess party is going to be the talk of town. But if the idea of planning a princess party on your own is too overwhelming, we’re here to help. We’ll take care of all your party entertainment needs and make sure your little princess and her friends enjoy the day. If all your little one thinks about is princess, throwing her the perfect princess party Toronto is a brilliant way to make her feel extra special. We’ll share with you a few ideas to throw a magical princess party that the little ones will live to remember. Think of adding some colour on some of the snacks that your little princesses would love. An ideal alternative that fits the princess theme perfectly is pink popcorn which is so easy to prepare at home. Games are a fantastic way to keep the little ones busy at the party. Something simple like hiding the Cinderella slipper and asking kids to find it would add to the fun. The little princesses deserve a taste of royalty so make sure you keep this in mind when setting the party table. You can use simple props like setting the table with little magic wands and a princess crown for each child. Crafts are a great way to entertain the kids and give them something to carry home. You can create a princess crown making station which allows the kids to exercise their creativity and have fun while they are at it. You can customize your menu to complement the princess party theme. Kids will be excited by the idea of castles; ball gowns and tiaras so use these to guide you on choosing treats that will capture their hearts. The snacks can be shaped like tiaras, unicorns, and rainbows. You can serve pink lemonade or tiny sandwiches cut into princess-themed shapes. Princess party invitations can be done perfectly without spending much. Just stick to the fancy text and glitter, opt for pink colour and draw shapes like the tiaras and glass slippers. A simple design like adding a tiara on top of a cut out of the age your child is turning will work just as great. You could also deliver the invitations with a plastic tiara and ask the girls to wear it when coming to the party. If you have boys invited to the party, don’t make them feel left out. You can have them wear special crowns or toy swords which complement the theme. The little princes deserve some attention too. Having a sub-theme will guide the menu, decor, and invitations. For instance, if your child loves the story of Jasmine and Aladdin, choosing this as your sub-theme will mean you can go for Indian food and even costumes. It will also help you to hire a princess for birthday party that perfectly blends with the theme. If your child loves Cinderella then you can have clear plastic flip-flops as party favours. 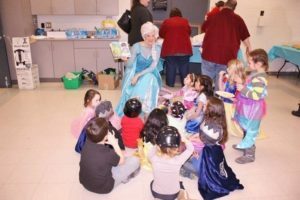 Whether you’re looking to make your child feel like a real-life princess or just want to try out something different, princess birthday parties are always a great idea. It’s your chance to bring royalty right at your door and create wonderful memories with the little princess. Though putting together, a themed birthday party is no mean task, it’s always worthwhile. Here’s why we think you should throw a princess birthday party for your child. If your little one is always playing dress up or having tea parties with her friends (or stuffed animals), perhaps it’s time to make her dream come true. Most little girls would love to feel like a real-life princess. 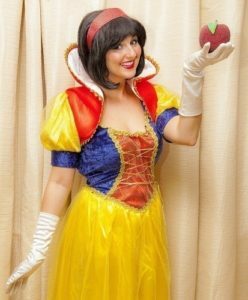 Imagine the smile on your child’s face when she sees entertainers dressed up in her favourite princess characters and fun party games that complement the theme. It’s your opportunity to fulfill your little one’s childhood dreams. Princess party themes will never go out of style. Right now, they are on trend all over Toronto where kids are choosing different sub-themes according to their favourite princess stories. A trendy party theme means that decorations will be easily accessible at major stores making the planning process easier for you. You’ll also find plenty of princess themed cakes to choose from which are within your budget. Choosing a princess theme allows you to throw a unique party regardless of your budget. 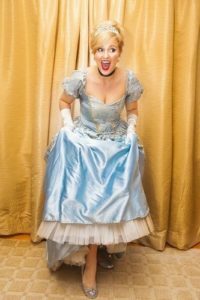 The best part about throwing a princess party theme is that you’ll get lots of options in terms of party entertainers to choose from. We’ll offer you a selection of princesses who are professional, friendly and great with kids. With Right Choice Entertainers, you have an opportunity to sit back and enjoy your child’s party instead of trying to keep the guests happy and occupied. Entertainers give you the convenience you need to have a fun-filled party without the stress of hosting. There are so many DIYs that you can incorporate in a princess party to save money and time. Get those hands crafting unique invitations and princess party games. There are simply too many party décor ideas and clever foods that you can make at home to perfectly fit the theme. You get to save money and most importantly, show the princess of the day just how much you’re willing to do to make her day a success. Princess parties are so much fun and simple to decorate. You can pull off this theme with simple DIY decorations, food items that mimic the shape of tiaras, unicorns, and rainbows. If handcrafting is not your specialty, you’ll find lots of props in stores all over Toronto that you can use to make the little ones feel like royalty. If a princess party sounds like a good idea for your little ones, take time to understand the rules and make it a success. We all know that there are rules for hosting and attending parties, which, if overlooked, can make the event too hectic, or a total disaster. With princess parties in mind, here are a few rules you should consider. For toddlers, it can be tricky whom to invite for the party. Don’t invite too many people whom your child is not comfortable around. It will just make the party chaotic. If your child has started daycare, then he/she may be comfortable around all kinds of guests. The older kids usually know whom to invite but it’s important to teach them to be considerate and give all their friends a chance. If you don’t want all the kids to be accompanied by their parents at the party, make it clear in the invitations. It’s ok to write ‘child and one parent only’ in your invites especially if space is an issue and your food budget is tight. If you don’t give clear instructions, some people will find it rude to be sent back when they drop their child. Write on the invite the exact time when the party is starting and ending so that parents can come and pick their kids on time. Also, remind the parents kindly to pick up their child on time when they drop them off. Allow people to come in and help you plan for the princess party. If you need help in crafting the invitations or fixing the décor, ask people to help you out. It will really make your life easier plus help you to cut back on costs. There’s nothing more important than professional and friendly princesses at the party. Whether you’re hosting the party at your house or a different venue, entertainers can really occupy the kids as you also enjoy your time. All your child cares about at that age is fun characters, games and a group of friends. Don’t stress yourself trying to throw an expensive and elaborate party that you can’t afford. Be very honest with your child as to how much you can afford and try to create memories at the party that will last a lifetime. All the games you plan for the princess party must be age-appropriate. If you’re hosting a party for babies and toddlers, there’s a high chance that they won’t be able to sit for long playing a game. They are likely better off playing with their toys. It may be enough to just hire a princess of birthday party and then settle for one or two activities for the kids. Kids are usually more interested in running around and playing with each other plus a party entertainer will help to keep them occupied throughout.